A bunch of ‘local” painters and I share jobs and chats on Facebook, and decided we fancied doing a joint fundraiser in a quiet period of November. 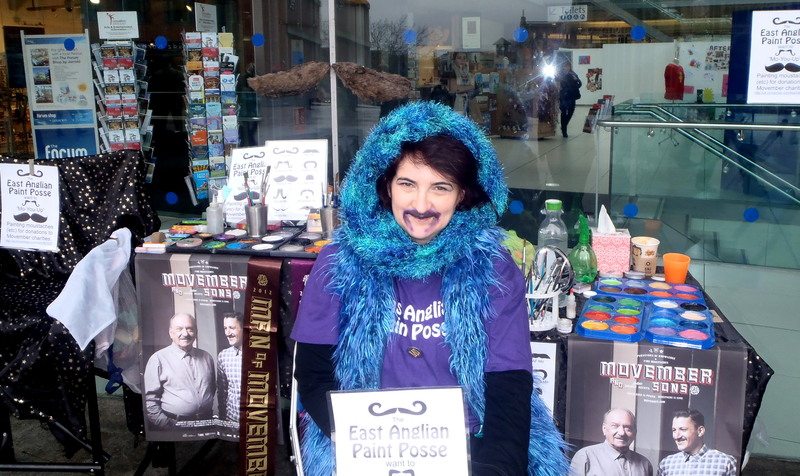 Why not paint on face fluff for people that can’t grow any, like kids and women, for the charity M ovember ‎? Their thing is getting men to grow sponsored beards and raise funds for Testicular Cancer etc. 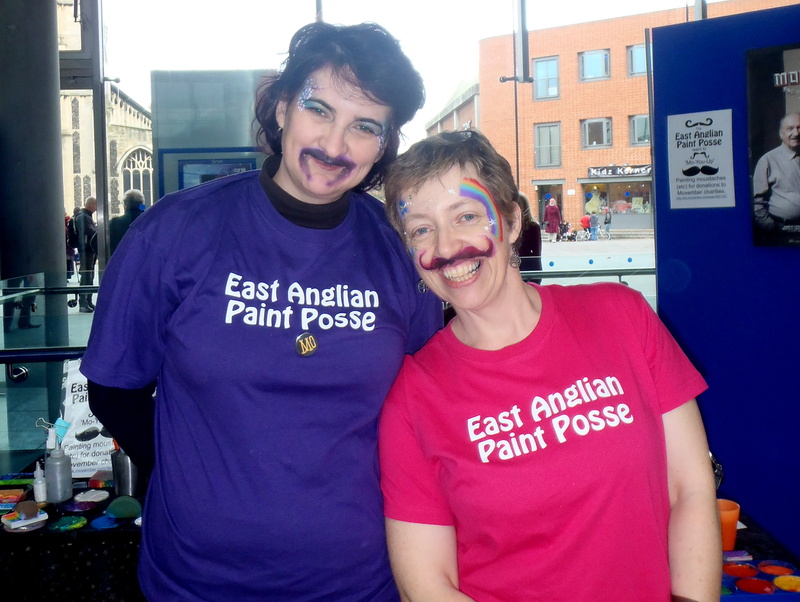 We created the East Anglian Paint Posse, ordered t-shirts, sent out press releases, and all put together work in our own area. 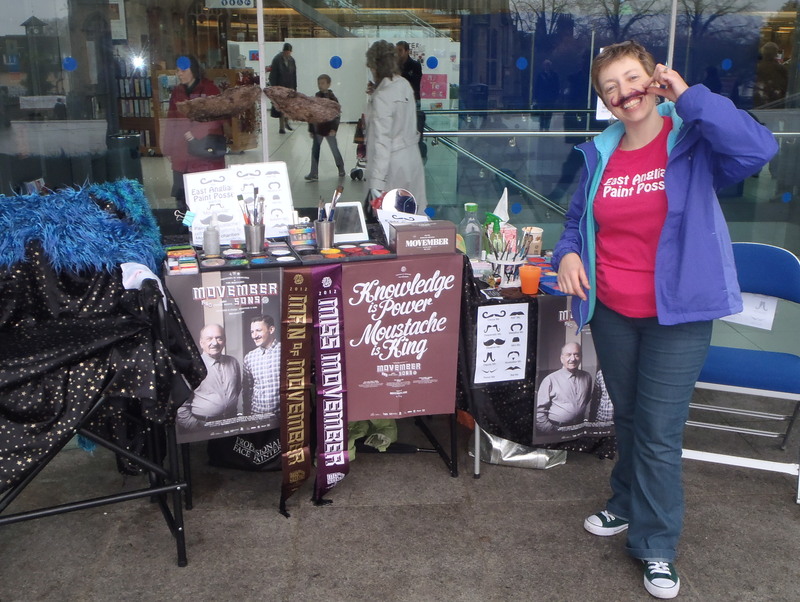 Avril and I managed to get fab The Forum to allow us a stand there, and decorating it with the excellent Movember Fundraiser pack, painted passers-by for donations to the charity. 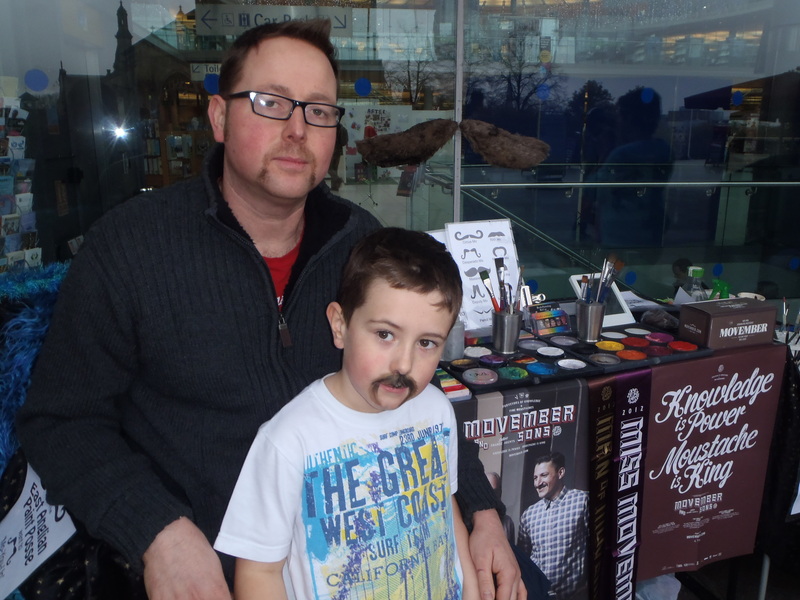 Another Posse painter was invited into a school and painted 100’s of ‘taches in a short time. 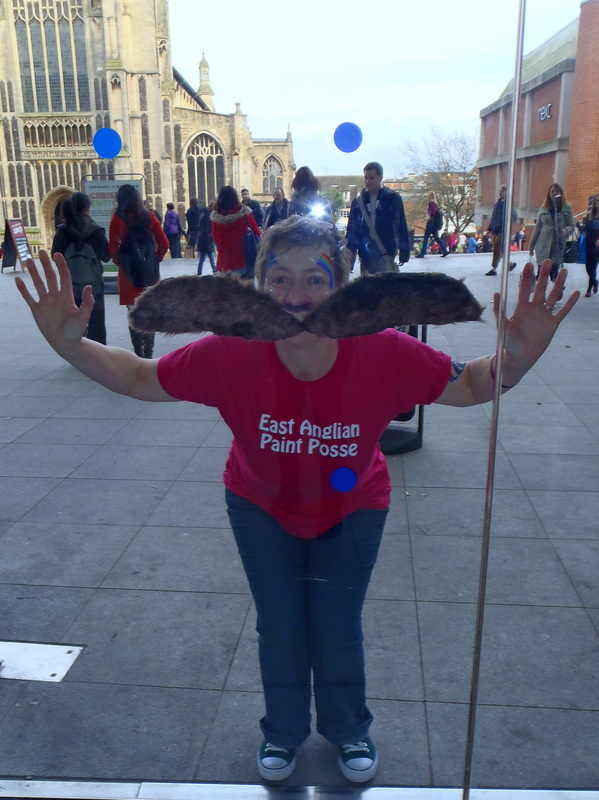 We raised £60 just from the Forum booking so not too bad! Excellent fun for a good cause!